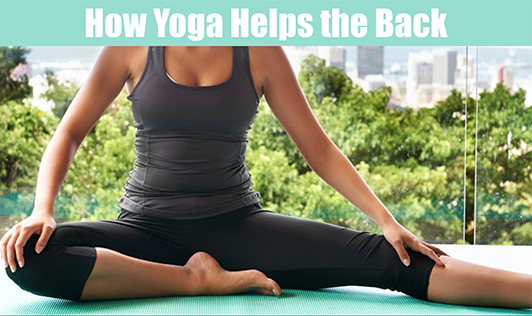 Yoga has proved over and over again that it does more for your body than just toning it. The ancient practice helps with new-agey problems like lower back pain, which if you have experienced previously, would know that it can get miserable if not managed early on. Lower back pain is one of the most common complaints these days, and most people would experience it as some point in their lives. It occurs when the hamstring muscles and the illiopsoas muscles become strained and compressed due to the long number of hours we spend sitting. Strengthening: Yoga works in a very precise fashion. Each pose engages very specific muscles and muscle groups. Even the holding positions use very specific muscles in the body which further help improve muscle strength. The poses work on the back, as well as the abdominal muscles, both of which have to be cared for because they make up the muscular network of your spine. These muscles need to stay well-conditioned in order to avoid lower back pain. Stretching & Relaxation: The practice of Yoga has always stressed on the importance of stretching and relaxation to reduce tension in the muscles. As you go through each pose, you can feel certain muscles flex, and the others stretch out. This combined action improves flexibility in the joints and muscles. For instance, when you stretch out the hamstring muscles (located back of the thigh), you improve pelvic movement, which in turn decreases stress across the lower back. Furthermore, the various poses increase blood flow allowing nutrients to flow in and toxins to flow out. Breathing: Yoga places massive importance on breathing exercises or Pranayama; not just on holding the breath but also achieving a deep, free, and rhythmic breathing pattern. Deep breathing improves circulation and strong circulation increases blood flow in the muscles, which are necessary for nourishment and rejuvenation. Posture, Balance, and Body Alignment: If you have been a long-term sufferer of lower back pain, you would have, more than once been told to change your posture and practice better ergonomics. Yoga works on the principle that all parts of the body are connected, so correcting one issue can actually start motion on sorting other issues as well. When it comes to reducing back pain, yoga works from all directions, and also addresses the root cause of it- bad posture and alignment. Tension Relief: A highly stressful lifestyle and constant negativity can actually cause any health issue, including lower back pain. Stress increases perception of pain and magnifies problems that may otherwise be small. And, Yoga relieves stress, which could actually change the perception you may have towards pain.